New Delhi: Minister of State (Independent Charge) for AYUSH, Shripad Yesso Naik will inaugurate the National Convention on World Homeopathy Day on 10 April 2017 at New Delhi tomorrow. Member of Parliament and Parliamentary Standing Committee of Ministry of AYUSH, Health and Family Welfare Dr. Manoj Rajoria will preside over the function. The event is being organized to commemorate the 262nd birth anniversary of the founder of Homeopathy, Dr. Christian Friedrich Samuel Hahnemann, a German physician, who was a great scholar, linguist and acclaimed scientist. A special session is also being organised to pay tribute to him. The theme of the convention is "Enhancing Quality Research in Homeopathy through scientific evidence and rich clinical experiences". The convention will have around five scientific sessions where experts of national and international repute shall be deliberating on key areas of homeopathic research, strengthening college infrastructure for undertaking research along with latest trends in drug validation, prognostic factor research, role in public health and epidemics by means of high quality research including NABH accreditation of homeopathic hospitals. The main objective of sessions is to educate all stake holders to understand the intricacies of Homeopathic research and to provide adequate exposure of quality research environment to medical colleges, practioners, clinicians and researchers, said a statement from the ministry. The founder of Homeopathy, Dr. Samuel Hahnemann, was the real advocate of logical reasoning. He based his discovery of Homeopathy not on hypothesis alone, but on repeated testing of his hypothesis on healthy subjects and scientific maintenance and keen analysis of all his observations. He deduced from what he observed, but not before he could critically analyse his own work, contemplate on the 'whys' and 'why nots' and then after enough introspection, and adequately convincing the rejectionist in him, he accepted his practical observations and deciphered time-tested theories from those. World Homeopathy Day, celebrated the world over to commemorate the birth anniversary of this legendary scientist, provides an ideal opportunity to stress upon the new possibilities in the global health scenario if Homeopathy is integrated in mainstream public health. With World Health Organisation emphasizing on the need of Universal Health Coverage (UHC), Homeopathy has a lot to offer to the world as it is economical, safe and effective. Homeopathy is widely popular and recognized in India and has been integrated into the national health care systems. 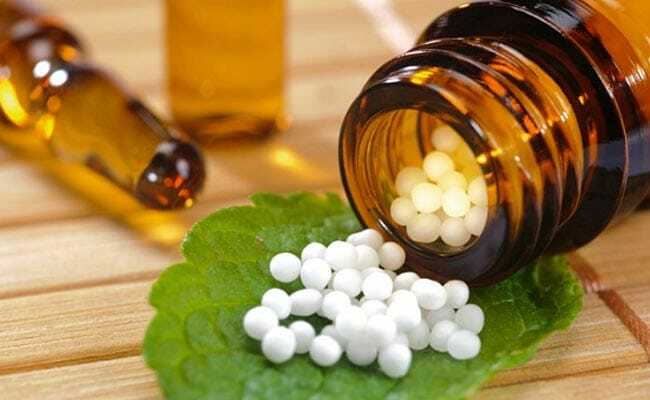 Meaningful recommendations coming out of the convention are expected to enrich the research base of Homeopathy in India and abroad, said the statement from the Ministry.